A new update on Iulia Docta-Sophosse's warband. Dacre, Carteret and Maubenc, cultists of Vvolos. 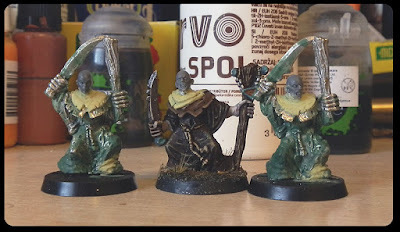 Cultists have the mark of Vvolos branded on the backs of their shaved heads.Whereas higher ranking acolytes wear yellow, ones of lower status dress in dark-coloured robes. Skaven Plague Monks were my base for these guys. This required removing the traces of Skavenness - head, tail, fur, feet. Same as with my conversion of Skrolk into a necromancer. 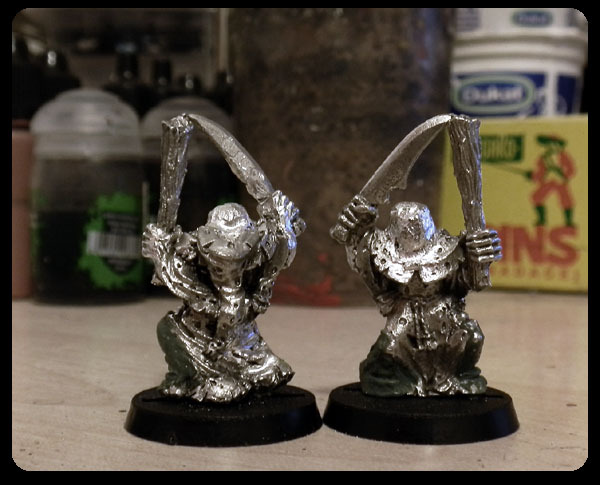 The two male heads are from Mantic Ghouls and the female one is from a Daemonette. I used green stuff and Milliput to rebuild the parts damaged during deratization. With the cultist trio completed I now have my entire starting warband of 10, ready to set off into the wilderness in search of treasure. My next step on this project will be an adversary for Iulia's band. There is an AoS28 competition running at the moment, called The Eclipse. The topic is "witch hunter", but taken in a very broad sense. So my plan is to make a questing death knight from a rival necromantic kingdom, whose mission is to find and eradicate followers of the daemon Vvolos. This witch hunter knight will probably get a small retinue of his own eventually. Fantastic! I really need to get my hands on some older Skaven models, they look perfect for conversions. The older skaven miniatures are the best, some my favorite models i have painted. i haven't posted it on my blog yet but i am working on one currently. Btw your models for Aos28 are badass. Nice! 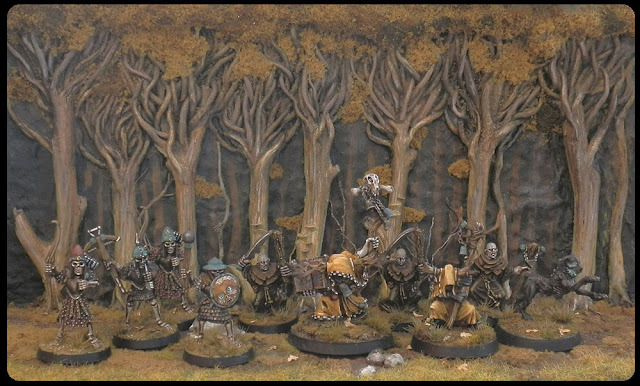 Great usage of some old (And not that great imo) minis. Must have taken ages to grind down all that Skaven-ness though? Very excited to see this new team. 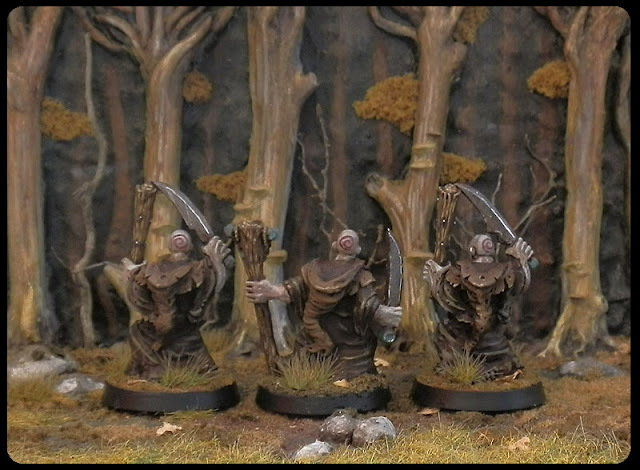 Love the cultist conversions. I was wanting to make a witch hunter for the Eclipse competition, but unfortunately I wanted to make her out of the new GW inquisitor model and she still isn't available individually yet. 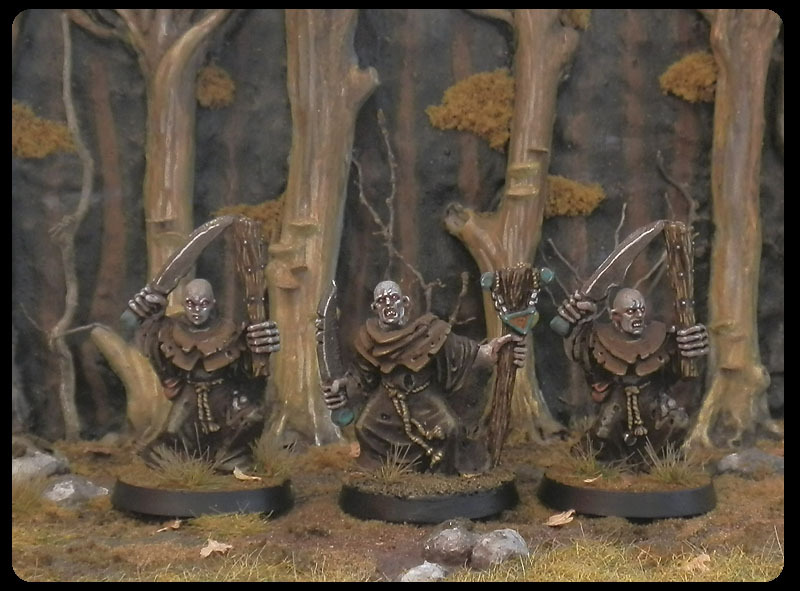 They look great; such a cool warband! The whole project is so inspiring! Once again perfect dark work! @Wilhelm - they are quite good if you don't mind all the work required to remove Skaven parts. If I were using them for some other project that doesn't have this old-school vibe I would take the time to replace their hands as well. They are too huge for a human. @Urion - shame about that. You still have time, maybe you'll think of a witch hunter character that can be made from something else.